Who thinks of these things? I sometimes wonder. I wondered just that as I lay on the J Studios treatment bed and the beautician coated my face with chocolate. Yes, chocolate! I tasted it before the procedure and, unable to stop myself, I stuck out my tongue and licked my upper lip during. And it was good. What pleasant sensations! Lying peacefully on a comfortable table, swaddled in towels, listening to ambient tones, as an expert practitioner gently wraps the hair from my brow, then applies the chocolate with a soft brush. This is sensory delight. I suppose I could melt a couple of Cadburys and spread it on my face. (Just kidding!) The chocolate employed at J Studios is a blend developed by Bernard Cassière, a renowned name in the world of beauty products and their application. This chocolate is “An express care using cocoa butter with orange essential oils, a delicious chocolate fondue, and nectar combining vanilla and cocoa extracts.” So, enjoy the Cadbury bar, spread it on your face if you like, but don’t expect the results that a J Studios treatment provides. 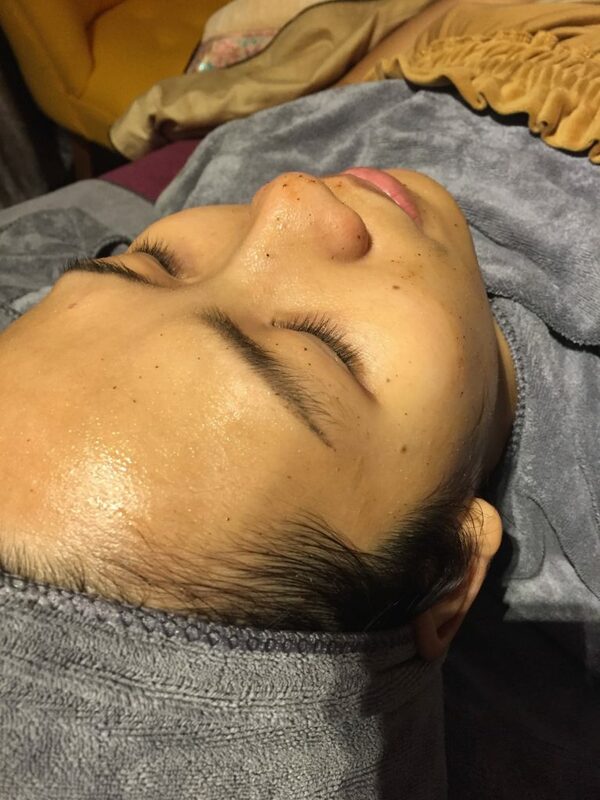 A week before I went under the brush, we watched a model having the treatment. 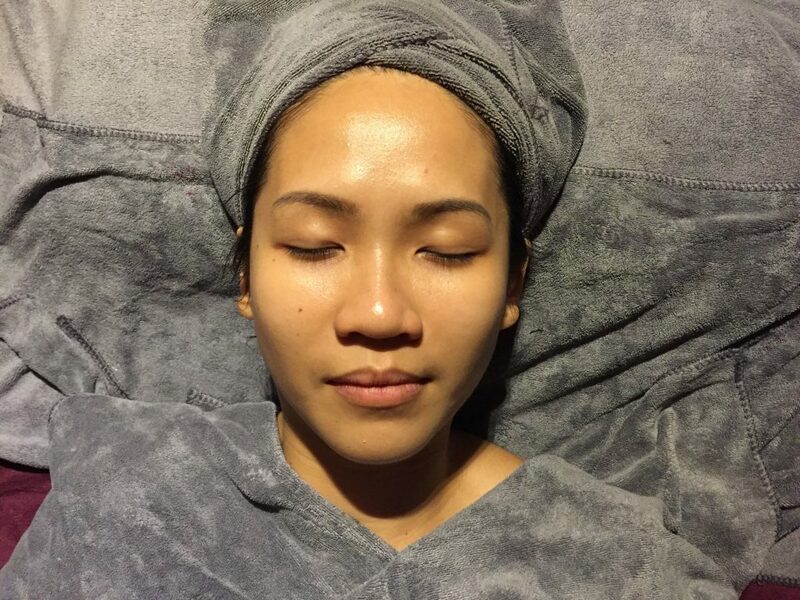 Blessed with lovely supple skin before the treatment, she positively glowed afterwards. She described the bounciness and resilience of her skin, especially in her cute, plump cheeks. Even ten days after my own chocolate experience, I still feel and see the same radiance. It wasn’t there before. I’m not just telling myself that. There’s a tangible change there, darn it! In MY cute, plump cheeks! Chocolate Mask (Fondue Au Chocolat) is edible chocolate which is protective, anti-free radical, anti-oxidants and helps restore the glow through cocoa oil. Chocolate Nutriprotective Tinted Cream is formulated to protect skin from daily stress (urban pollution, tiredness, insomnia) and provides an even and natural tanned complexion. The shea butter and cocoa butter helps skin regain radiance, comfort, and youthful appearance. It was a marvelous experience. My skin feels and looks great, but where does the “anti-stress” enter this picture? In general, we urbanites are all under stress and so is our skin, especially the exposed bits like our faces. Air pollution and sun exposure (especially in sunny SingTown); take their toll after awhile no matter what we do to thwart the effects. In our hectic lives, tiredness, sleep disorders, and personal habits also contribute adversely. Tobacco use (not me! ), lack of sleep (alas, too often), and alcohol (well, just teeny, tiny sips on special occasions – like sundown). These ravishes have their consequences. Face it, I – like you, and you, and YES, even you – ain’t gettin’ any younger. I’m a single mom. That has its challenges, as does being a mom of any description. We devote ourselves to the care and well-being of our charges. What a rewarding gift to be blessed to do so! That said, the rewarding gift can become a bit wearing and tedious sometimes. When it does, or when any of life’s pressures start to be barricades rather than bridges, it may be time for ME TIME. If, as Enid Blyton claims, we are making our own faces, then let us embrace the effort. Writing in this blog about the another energizing J Studios offering, the “Signature Oxygen” facial, I made the point that spoiling myself now and then need not be a guilt trip but rather the opposite. I think of it as adding quality to my life and, hence, to the lives of those around me. The treatment feels so good. My face feels so good. I smile. I radiate. I’m growing. Growing into a face I love. I pass the pleasure along. I’m aging, but I’m raging! Sure I have had my moments of doubt and fear as I see the years slip on by. Regrets? I’ve had a few. With more self-regard and help of J Studios, though, I’m putting that phase behind me. Life is full of lessons, isn’t it? From now till 27th April at J Studios. If you thought eating a bar chocolate can satisfy your mood swings, then you’re wrong! 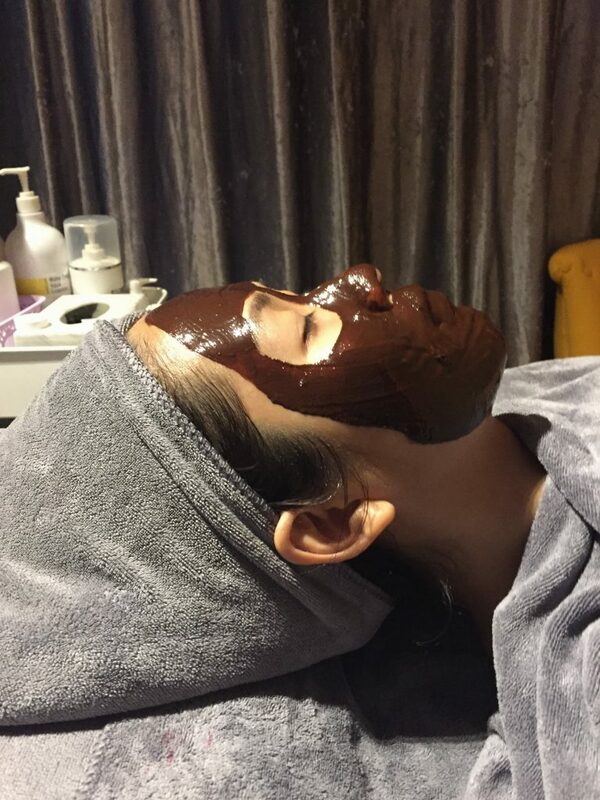 #chocolate facial, a new fad in the #beauty circle will not only enhance your complexion but also ensure that your skin is health md glowing in the long run. 🌼 . 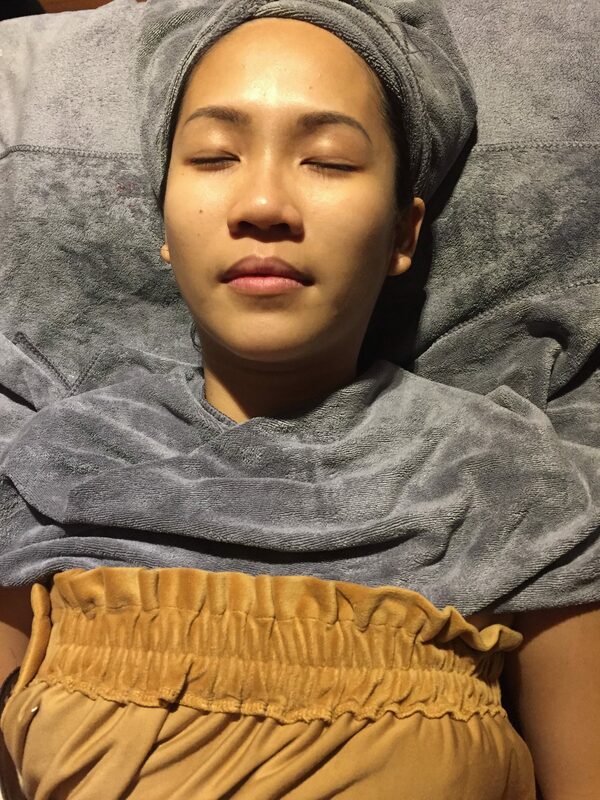 Quote “JANICECHOC” to enjoy Bernard Cassière Chocolate Anti-Stress Facial at S$188 (U.P. S$288). From now till 27th April @jstudiosbeautycare. Le Spa Review and Giveaway!